I've come across a load of people having sleeping disorders the past couple of weeks, including me. It's either not being able to sleep...at all. Or sleeping for a couple of hours, waking and being so wired, you can't fall asleep again..with the cycle repeating through the night. Mine lasted nearly a week. Then there's an equally large amount of folks who've experienced the sudden onset of digestion/gut issues, that seems to be all-pervading. Symptoms range from nausea to loss of appetite, pain and bloating in very places of the stomach. This below could answer for some of these symptoms, at least. 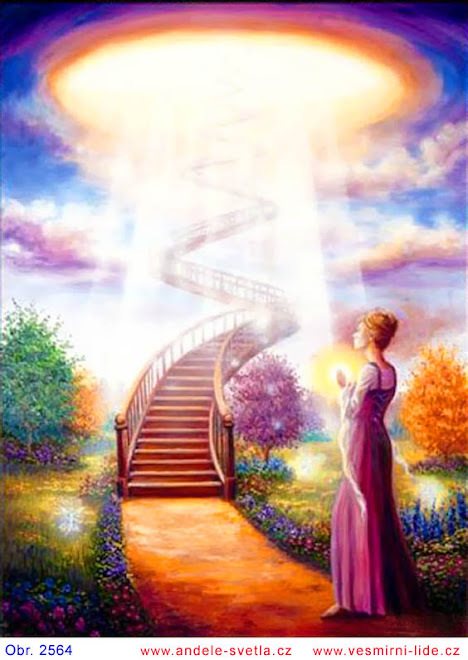 Currently, with the planetary magnetic shifts combined with the Capricornian alchemy of fermentation, many of us are having intense ascension symptoms while we are undergoing stages of spiritual activation. We're having an embodiment of the higher level of the vertical channels and magnetism that is inherent in the female principle; and this has created potentially new activations in our Pituitary Gland, as well as adjusting a specific cranium bone which has mostly been dormant, manipulated, or implanted to stop its higher functioning. This is called the Sphenoid Bone. The sphenoid bone is the only bone that connects to all the other bones of the cranium and its movement is responsible for "milking" the Pituitary Gland to secrete its hormones. The pituitary gland is situated in the Sphenoid Bone at the base of the brain. The pituitary gland secretes nine hormones that regulate homeostasis. As the master gland of the body, it produces many hormones that travel throughout the body, directing certain processes or stimulating other glands to produce other hormones. This also impacts the Pineal Gland that produces melatonin, a serotonin derived hormone, that affects the modulation of sleep patterns in both seasonal and circadian rhythms. With metabolic changes occuring from intense magnetic shifts, people are experiencing great changes or disruption in their sleep patterns and bodily rhythms. Heart rate, breathing, sleeping and eating patterns may feel they are changing. Individually, the Pineal and Pituitary provide key influences in our Spiritual Awakening. To become awakened into sacred union or hierogamy, the sphenoid activates these two individual glands to merge their energies in the brain and alchemically produce a new hormonal substance. The merging of these glandular energies allows the Cosmic Heart energies from the Godhead to be transmitted into the Pineal Gland which communicates to the Pituitary, in order to merge with the physical earthly energies that the master gland regulates. The activation potential in the human body is coming online with the pituitary gland's higher functioning, which impacts the sphenoid bone's alignment in our skull, which acts as the housing for the pituitary gland. This area of our skull is a cosmic resonator of the unified consciousness of Christ or Oneness. The cosmic energy is transmitted through the Sphenoid Bone, is also transmitted electro-tonally into the planetary grid pattern and instruction set, and this particular Blue Ray language appears on the ley lines as the etheric light blue butterfly pattern. The butterfly pattern is seen in the shape of the actual Sphenoid Bone, which looks similar to our pelvic bone, except its inside our skull. In the 3rd eye, or in the center of your brain, that is the area where the sphenoid bone is, and it is shaped as butterfly wings. This bone and this area of the inner skull is a receptor and receiver for cosmic energy. When a Gridworker is working with the planetary field or Ley Lines, or when communicating or connecting with the Earth elementals, this would be the area of the brain where you place focus. When focusing or directing energy, cosmic energy from the center of your 3rd eye into your object of concentration, this area is the point of reference for the location of the center of the sphenoid bone. The cosmic intelligence transmitted from the central sphenoid is capable to holographically project outwards into the field into a butterfly patterns, and this becomes imprinted upon the Earth grid. This intelligence field transmission is called Dorsi Scroll language. This was an edenic language that communicated with the nature spirits, elementals, fairies and the natural kingdoms on a planetary body, and this language was originally on the planet Tiamat. Dorsi Scroll is a Krystic elemental language that re-encodes the morphogenetic field pattern with the Edenic state of energetic balance, which refers to holding the balance between the Mother and Father principle in union, as a trinity force. It is being used currently to restore the trinity balance into the earth grid through the restoration of the feminine principle of creation. It's about creating the tri-wave patterns to run throughout the planetary brain and grid networks in order to produce what's known as Chalice configurations. Chalice configurations are fountains of life force that exist on active portals, are the energy potentials generated between the white hole and black hole spin points, of which balanced energy current can be created in a grid network to directly exchange feedback loops with the zero point field. The butterfly pattern is what seals or stabilizes the grid by aligning the language between the elemental energies and local natural forces, creating multiple feedback loops, which allows the Chalice pattern to flow more life force energy into that particular area of the planet. The chalice configurations in larger centralized planetary networks are also called Diamond Hearts, they are the central heart hubs that circulate life force into many different tributaries in the grid and run differrent frequency currents into specific areas. The diamond hearts in the earth grid network prior to Reptilian Invasion timelines, used to emanate life giving pranic and spiritual-energetic force into the human Collective Consciousness fields, nourishing all life forms on the planet, and were a source of free and abundant energy. Gradually, through the planetary hosting changes, the diamond hearts and chalice configuration are systematically being reprogrammed into the planetary grid networks, to be able to transmit Cosmic Divine Mother frequencies back into our planet and human bodies. As a Krystic being, with an activated sphenoid, we're able to transmit cosmic energy directly from our sphenoid and that particular aspect of the higher pituitary gland function which is unifying with our brain hemispheric processes, and that connects our pineal and pituitary glands into unified functioning. When our pituitary and pineal glands unify their higher hormonal functions, it generates a brain and consciousness elixir. Krystal Waters is also known in the eastern philosophy as Amrita, and is a fluid that can flow from the Pineal Gland and Pituitary Gland when in correct relationship in the brain, in deep states of activated kundalini or meditation. With the fully activated sphenoid we have a Krystal Palace located in our brain space, and this performs this consciousness function, which potentially helps to reset the elemental patterns of the Earth grid in the Earth brain from the projections made from our own brain. At this level of heightened consciousness, it is possible to project the patterns of perfection from our own brain into the earth brain. 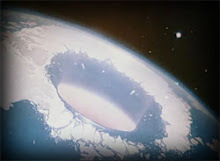 The small amount of Oraphim on the earth currently, as well as Krystic people on the Christos Mission, are able to perform this service of creating unity fields for the earth. The sphenoid is the highest link in the skull, as it is the keystone. This area in the skull is referred to as the Holy of Holies in the structure of God's Temple. Our entire body is made in certain mathematical proportions which emulate the architectural pattern of the Krystal Cathedral or Krystal Palace. And within the body's mathematical alignment, the sphenoid would be considered the Holy of Holies, the most sacred space. It's where the Holy Spirit, the Cosmic Intelligence of the Godhead, is directed from the Holy of Holies, and through that particular pattern that is infused with the bright illumination of the God source, it configures into this butterfly pattern, like the shape of our own sphenoid. I hope this is helpful to connect the dots as some of us are undergoing another intense integration phase with many metabolic changes impacting the physical body. Take good care and be well. I was recently looking back at some old notes made from years ago for my still as yet-unfinished book. I was a rather lusty and sometimes predatory wench in my approach to relationships when I decided who I would be involved with. Often the hunt was better or as good as the kill for me. And often I would tire easily of the person once the shine had worn off. Except for those few that I was also best friends with. But by and large, it was more often than not a case of leave them – before they could leave and hurt me. This was very much part of my relationship pattern and a result of feelings of abandonment as a child. But here I am now, sitting in my garden with our green and red chested local sunbirds singing up a storm, settling on this bush and that tree. In between, I’m having a marvelous communion with TATA. What I’m thinking is that the beauty of the relationship with God/your I AM/God complex is that it never gets stale like the human relationship. A relationship living in God as He is in you, means the honeymoon period never ends. It’s all-ways thrilling, all-ways new and all-ways a pleasure. At least, it is for me. I am exceedingly grateful to have experienced every (seemingly)tiny moment, exchange, inspiration, idea, motivation and so much else from and with God. The past 1.5 years has been the best in this regard. Though it’s sometimes come and gone, it’s been the most consciously-connected period to God’s presence I’ve had the pleasure of experiencing in this lifetime. There is nothing and no one else in human form that can be what God is to me. Likewise, I feel that to be the same for all of us. His presence within us is all-encompassing, all-embracing and it is infinitely expansive. Though I’ve always physically wanted to hug God too. When I’ve asked questions in the past about soulmates, it’s been made clear that soulmates serve Him through and with one another. Or we serve one another through and with Him. In so doing, we are better-equipped as the ‘two or more in His name’ to serve in the world together and as per guidance received. And through our soulmate we would be able to do that one thing that we cannot do alone in physicality – and that is to hug God through and with the other. Even though we can embrace and be embraced at the non-physical level. I know all that might sound obvious, but at the time I wanted to know more about the dynamics of soulmates. I was given a visual of a giant egg cracked vertically into two halves that represented the soulmates. Two halves of the whole egg living in God’s amniotic fluid or force. By the same source (can’t remember who now) I remember hearing that soulmates come together already whole - not imbalanced or in neediness - when we do finally connect. Then all we do is enhance the living experience of each other, in and for and with God. At that point there is growth and expansion for the individuals that is harmonious, rather than conflictual because we’ve already healed ourselves into that (returned) wholeness within Him. That was given when I understood a lot less about this - our primary relationship as being in and with God first. To get back to my individual experience, I’m not exaggerating to say I live for these interactive moments in God. I hunger and thirst for them when, sometimes days pass, and I haven’t (for one reason or another) had my God fix! The thing is, this communication has become central to my existence. And the upside of working from home primarily means I don’t have the pressure of having to rush off to an office and I can take time out to connect with my environment. There’s time to feel and think or muse over one of my many questions and wait to have God/the universe send me a sign directly. Riding the ups and downs of the human consciousness extreme adventure is certainly not for the faint-hearted. It wasn’t years ago and it’s far less so now. What with the terrified darkies engaged in their battle against us (even though it’s one sided as some of us aren’t fighting back), at every turn and level – as they increasingly lose control. It’s only a two way battle between opposing forces if you create the opposition by fighting back. That’s the mistake we can easily make, feeding the parasitics further power and I should know, if anyone. Withdrawing that power and using it instead to plug into your I AM/God within/God complex, forces, whatever term you’d like to refer to, is far more productive, healing and centering. Why? Because you are choosing the Real You and your sovereignty=your freedom in that moment. Rather than to identify with your limited, fear-driven ego that eggs you on to fight back. A deeper relationship with God relies on us bringing our whole self to Him. The more whole we are, the more of Him we can have/opens up to experience. And why the work on self is crucial. Because I’m learning increasingly how to live in the moment (which the ego hates, by the way), I have less and less desire to know about what tomorrow may bring. Yes, of course I care. But I cannot invest any more energy into speculating on the future, especially as today I’m creating more of it for tomorrow. Besides, I’ve never been one who’s been given to know either who I am or what I’m here for. Nor had anything confirmed other than subtle suggestion, that is. Besides that, the timelines on this planet have shifted radically, it seems. I’ve been through two such personal experiences myself – one during the first 10 days of September last year and another during the first week of January this year. These strange nightly events felt like I was experiencing the spin-drying part of a washing machine cycle all through the night. Like I was being tumbled or spun through and across lifetimes/timelines/universes. Or all. I woke every morning feeling completely ungrounded, disorientated and couldn’t think straight for the entire period. I later heard I was 'living out’ a different lifetime/s or timelines – every night! I didn’t check the source at the time, but it kind of felt right to me. It hardly makes sense to me...except in light of what’s happened/hasn’t between then and now. Than are dreamt of in your philosophy'. by Francis Bacon/Shakespeare comes to mind. All I know is that many more moments of each day's simplicity and beauty returns me to that 5 year old feeling of wonder and awe in all of God’s creations. I’ve always had a strong child-like streak that’s remained intact and delight in the experience of God’s presence in many places. Including his kingdoms: the birds, insects, flowers, trees, clouded sky, waves, domestic and wild animals and much more. Every single day is a new one and new opportunity to transcend limitations, that we may become whole. You can’t fully love yourself until you are. In turn, in fully loving yourself, you get to access so much more of God. Then you naturally are unconditionally loving towards others. I know I've said this more than once before. Please bear with me as it's my current focus. And I’ve seen this in the past few days in my life – being good to myself first is being good to God, to put it that way. I realize more now that every bit of growth depends on how we first see ourselves; our perception. Being in love, in awe and celebrating ourself first opens the flow of love between us and God. Some would argue that it’s already opened. Yes, it is. Except when you’re not identifying with that Real You. Which for most of us used to be most of the time. I say ‘used to be’ as God’s helping to cleanse and raise our consciousness now. Personally, I don’t think I’ve experienced as many insights – and hopefully growth with it - in this entire lifetime of being awake as much as I have during the past two or three months. Let the glory of God rise and shine from every crack and crevice.